Amanda and Bryan, SO MUCH FUN. They got married in November 2018. It was a cool, crisp Fall day. 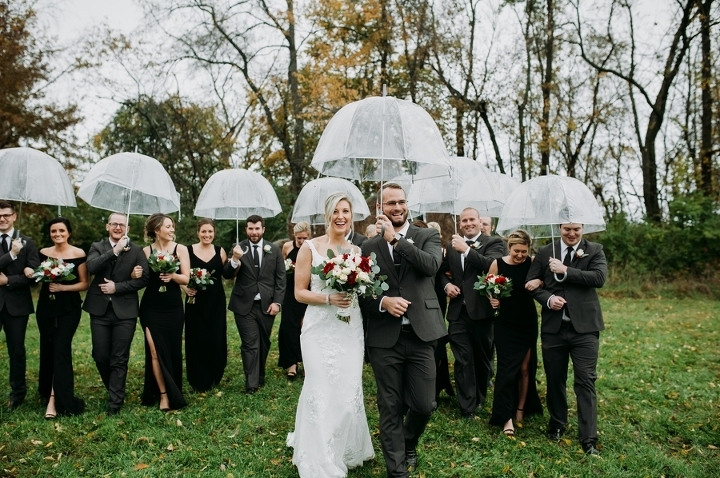 There was *a little* rain, but nothing we couldn’t handle! I truly feel that the cloud cover just added to the romance of their day. These two are laid back, happy, and just so in love. I fit right into their group and felt like family. I truly love Fall/Winter weddings. I prefer cold over hot, and this day was really just a dream for me to photograph. Have fun scrolling through their wedding, and be sure to look at the awesome vendors at the bottom of this post! The fun we had during this shoot is more than evident. These two have such a sweetness about them, a genuine happiness that was completely contagious. We literally laughed the whole time. Jenni rented this adorable airbnb in Italian Village in Columbus and we drank beer and whiskey and I just tagged along on their date night. I really just cant get enough of their cuteness. 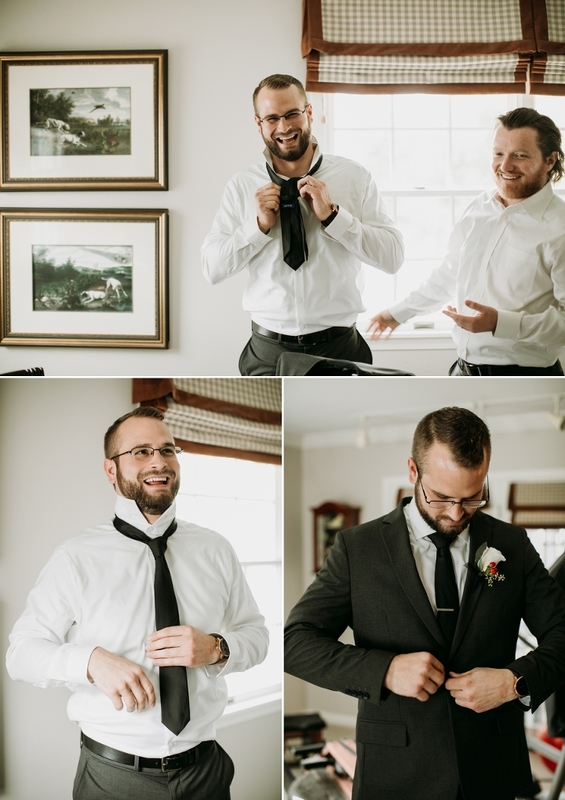 This shoot made me even more excited for their Winter Wedding at Rockmill. I cannot wait to be a part of it. Congrats you two! Thank you for having me do this for you. It was a dream come true! I am SO excited to share these festive photos from my Christmas Mini event in the studio this year. As most of you know, we live on a little slice of country heaven just east of Columbus. When we bought the property there was a barn about 600 feet from the house. It was nothing special, brown, wooden, 2 large garage doors. The previous owners stored equipment here… But when we viewed the property over three years ago I knew exactly what I wanted to do with it. 3 years later I have an amazing natural light studio. I’m actually sitting in it right now, and sometimes I still don’t think it’s sunk in that it’s mine. I want to put a post together of before and afters, and all it took to make the project come to life, but for now I want to share some of the first images I took in the space! The response to the studio has been incredible. I had so many of my clients and friends say “how will YOU shoot in a studio? That’s not your “style.” I think there was a fear (dare I say) that there was a possibility the images could look like Sears? Or that really awkward photo your parents had taken of you on a backdrop when you were a kid? (Not knocking backdrops, actually looking into getting some soon!) But it was REALLY important to me to keep the integrity of my work even if we moved it in doors. I wanted a clean, white space that was modern and naturally lit. I wanted it big enough so that kids could still be kids and run around freely. I was so excited at this opportunity, but I’d be lying if I said I wasn’t also nervous to try something new. Nerves are good though, right!? Could mean you’re onto something great. No risk, no reward, am I right!? Well the Christmas Mini’s were some of the first shoots I did in the barn, and I have to say I am SO happy with the way they turned out!! It’s a really crazy/beautiful thing to see your visions and dreams come to life — and this event was just that! Take a look at my 2018 Christmas Mini shoots. Maybe you can draw some inspiration for your upcoming shoot with me! I’m having so much fun in this space! I have several more shoots coming up this Winter that I am already excited to share. And I think I might plan some “Winter Love Shoots” for January if I have enough interest! Valentines Day, hot chocolate, cozy blankets, ahhh I can just see it now! But back to it! Enjoy these joyful photos that are all things Christmas and bring me the most nostalgic feelings in the world! This is my BFF and her beautiful family!! I’ve taken their photos probably a good 25 times over the years, but I’m thinking this might be my favorite shoot of all. (Although they are always adorable!) Maybe its the pumpkins? Or that Kate was SO happy. I will also probably never forget this shoot because I was pregnant with Porter and had him 8 days later. You try chasing a toddler around 38 weeks pregnant, whew! I love love love these images of my favorite family. And sharing these today has me ITCHING for fall. Its been 90+ degrees and 100% humidity this week and I’m just ready for the weather to turn.